Comes Wilt. Magnus Magister Hospitii Domini Regis. HODIE 2a vice lecta est Billa, for the abolishing and putting away of divers Books and Images. 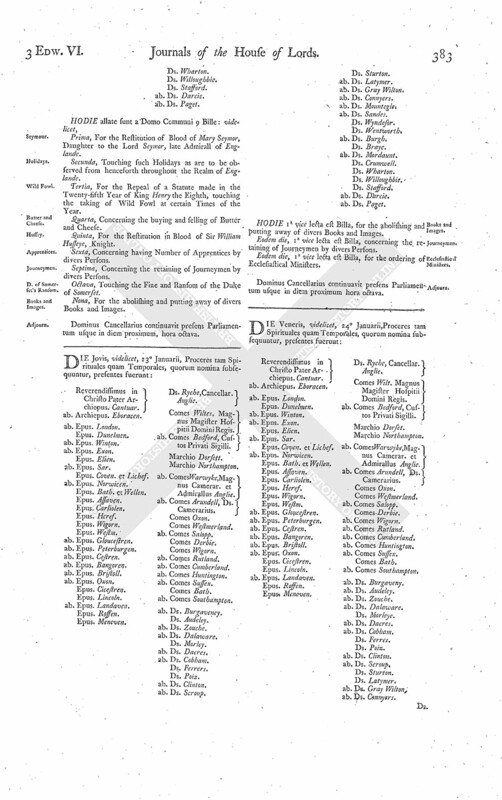 Eodem die, 2a vice lecta est Billa, concerning retaining of Journeymen by sundry Persons. 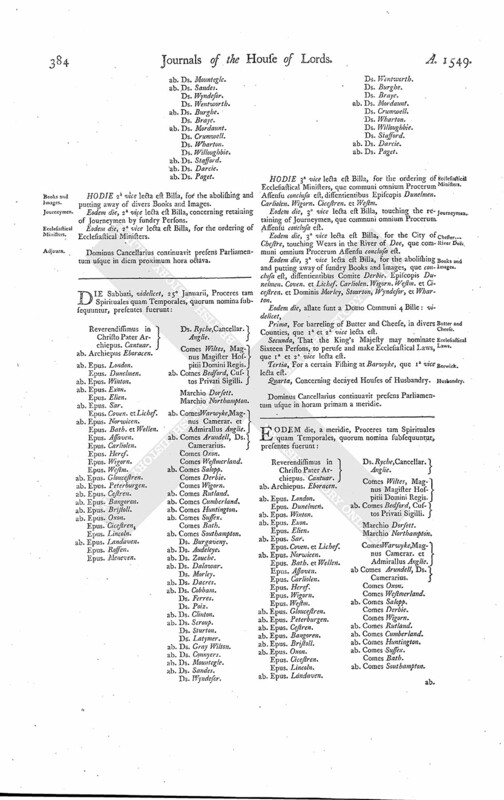 Eodem die, 2a vice lecta est Billa, for the ordering of Ecclesiastical Ministers.